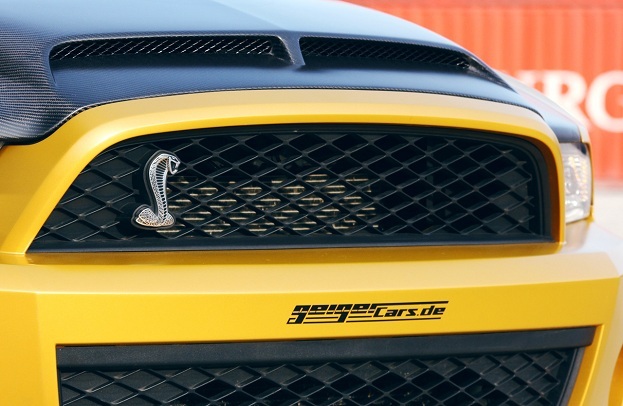 GeigerCars.de supplies Europe with American muscle since 1979. 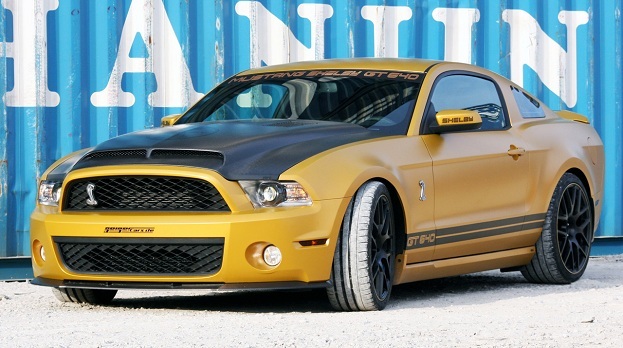 The company is based in Germany and recently have customized the already super cool Shelby GT500 Mustang. 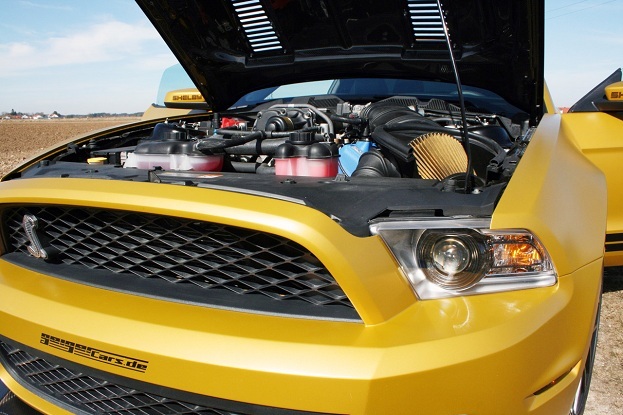 Their upgraded the 5.4 liter V8 with 2.3 liter compressor, Geiger exhaust, changed engine mapping and developed 640 ps [or 631 HP]. 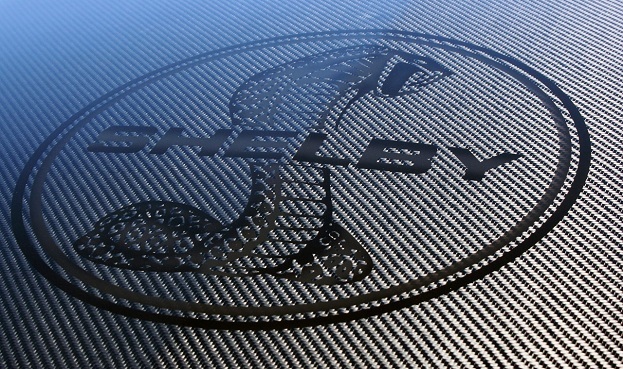 That result number renamed the original Shelby to a Shelby GT640 Golden Snake. 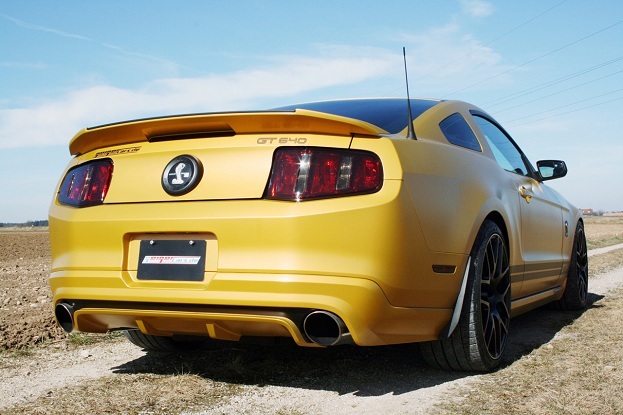 The Snake rides 20-inch matte black wheels mounted onto H&R adjustable suspension. 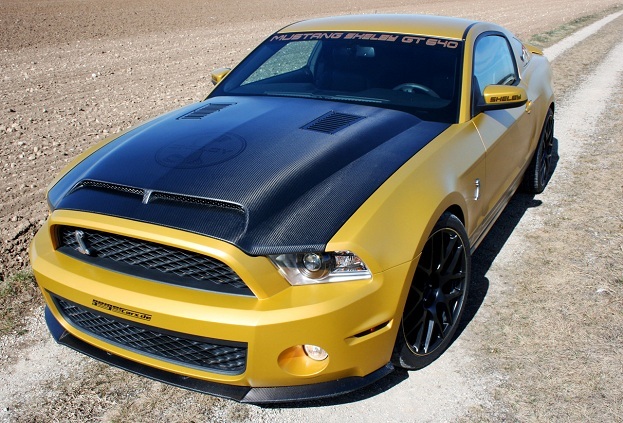 The exterior screams its dead gold paint scheme with carbon fiber elements. 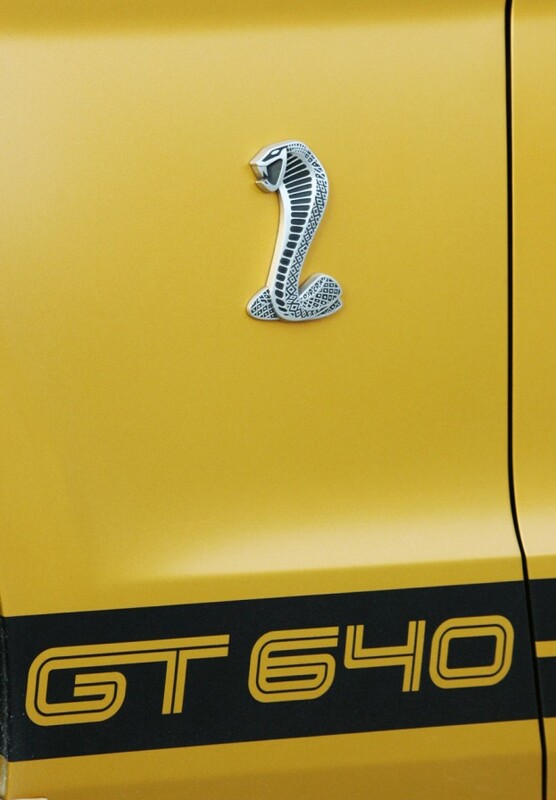 The Ford Shelby GT640 Golden Snake retains the chrome cobra badges and an altered version of the side stripes. 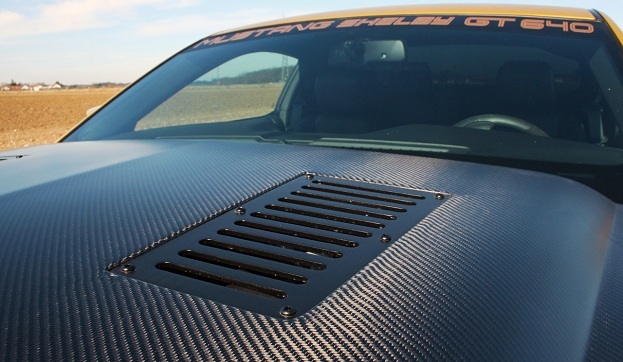 It is for sale – somebody needs a $126K credit.